Keep out of reach of children. In case of overdose, get medical help or contact a doctor or a Poison Control Center right away. Put one dose into an empty glass. Mix this product (child or adult dose) with at least 8 ounces (a full glass) of water or other fluid. Taking this product without enough liquid may cause choking. See choking warning. Stir briskly and drink promptly. If mixture thickens, add more liquid and stir. 1 rounded TEASPOON in 8 oz of liquid at the first sign of irregularity. Can be taken up to 3 times daily. Generally produces effect in 12 â€“ 72 hours. 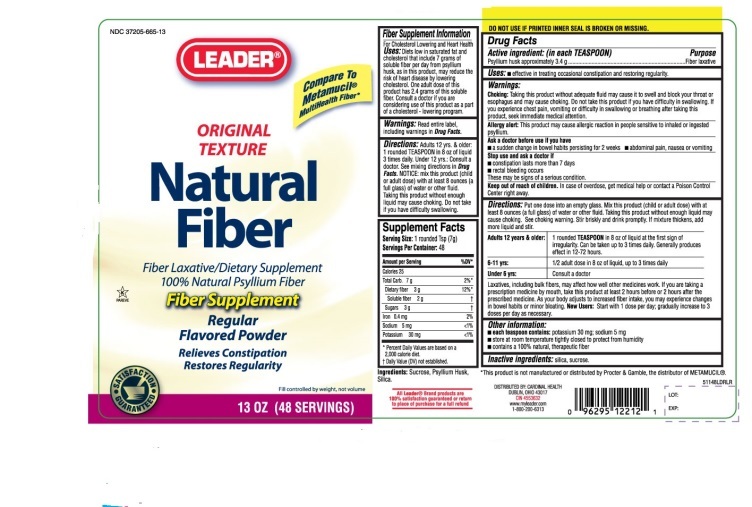 Laxatives, including bulk fibers, may affect how well other medicines work. If you are taking a prescription medicine by mouth, take this product at least 2 hours before or 2 hours after the prescribed medicine. As your body adjusts to increased fiber intake, you may experience changes in bowel habits or minor bloating. Start with 1 dose per day; gradually increase to 3 doses per day as necessary.